Previously, variations of the Hansuli were worn in different parts of Nepal and north India, including in the northwest region of Humla. 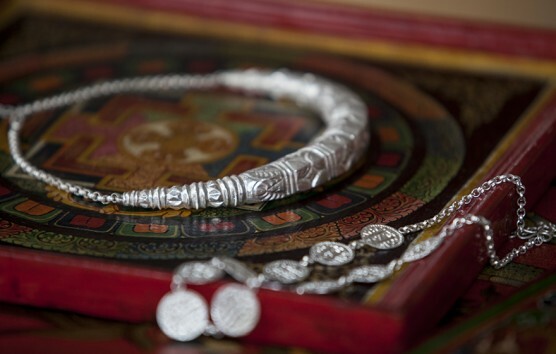 Our piece is based on a design popular within the Tharu community of southern Nepal. It is typically a heavy ornament made of solid silver or a metal composite. 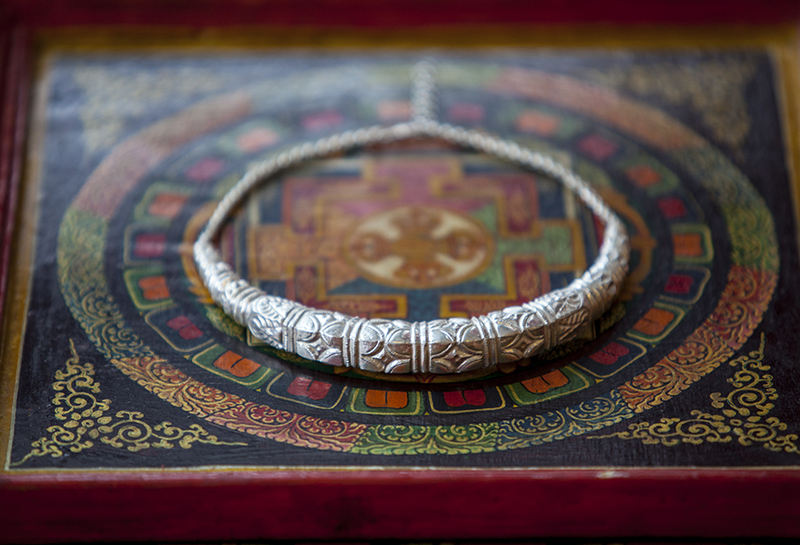 Our version of this striking collar is worked from pure silver. It is patterned on all sides using the repoussé and chasing techniques that are a specialty of Nepali craftsmen. The necklace is hollow, making it light and comfortable to wear.